I just realized that I haven’t done a new post in over a month. Such. a. slacker. We have today off for “Christi Himmelfahrt” – or the start of Christs Ascension into heaven or something. I don’t really know (I should because I went to Catholic school for a thousand years but I don’t). All I really know is that we get a crapload of holidays around this time of year and what better time than to regale you with tales? I started the new job back in April (hence the blog slackage) and everything is going well so far! I really really like the people I am working with and have made some amazing friends so far. One of the biggest questions I get asked about the job is whether or not everything is in German. It’s an international company so the business language is English but there are a lot of Germans/Austrian employees, including my boss. So there are frequently conversations going on all around me in German, which is good practice and moves me a little further along in my whole “picking up the language via osmosis” plan. Other than that, we are generally working for the weekend. Spring has officially arrived (actually it arrived a few weeks ago but I have been too busy with work and destroying my liver to write this) and with that comes warm weather and what goes great with warm weather? Biergartens! 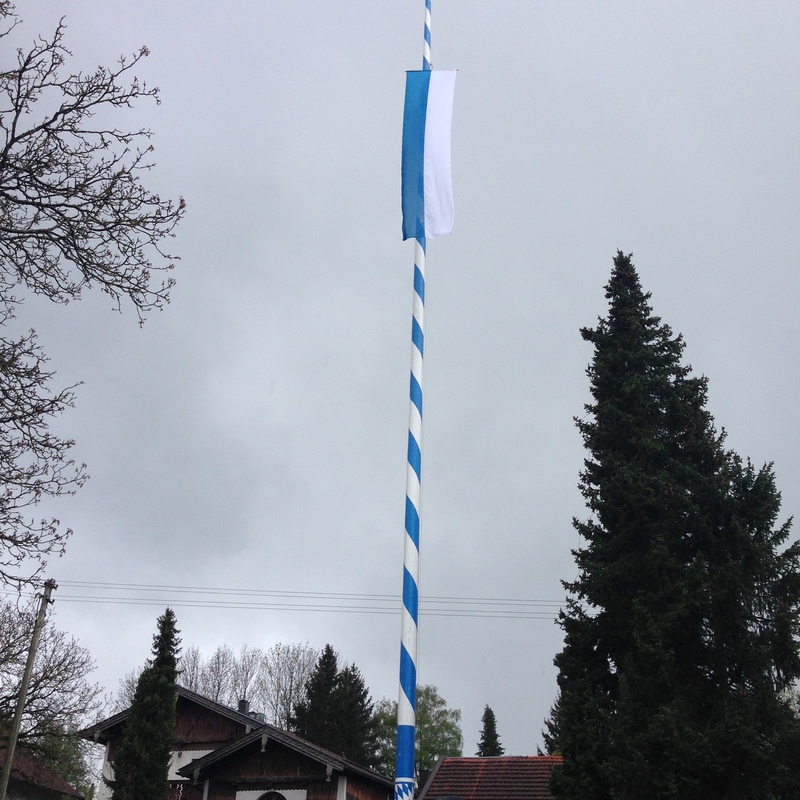 One of my favorite days so far was when we we ventured up to the Andechs Brewery last month. 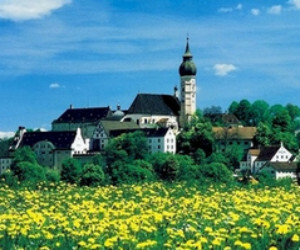 The brewery is run by the Andechs Abbey, a Benedictine monastery that has brewed beer since 1455. After taking a long train ride there and hiking 4k up a hill, you more than earn your beer, plate of bacon (Jerry is no longer allowed to order food), and a breathtaking view. Not my picture. I was too sweaty from the hike up to take one. We were planning on only staying for a bit but it was an absolutely stunning day and we were with great company. Before we knew it, the sun was setting and we still had to hike back down. It wasn’t until later that we found out there is actually a bus you can take from the monastery down to the train. Doh. As if having a biergarten or keller on every corner isn’t enough, Germans find every excuse to hold a festival around this time of year. 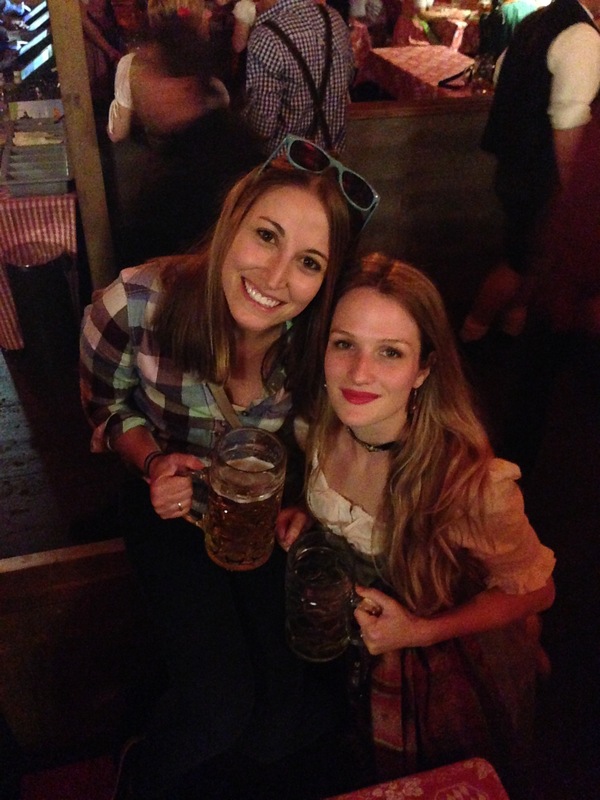 Frühlingsfest just ended the other weekend, which is basically a mini-Oktoberfest but in the spring and with less Australians. We ended up going with some of our friends and had a ridiculously good time. 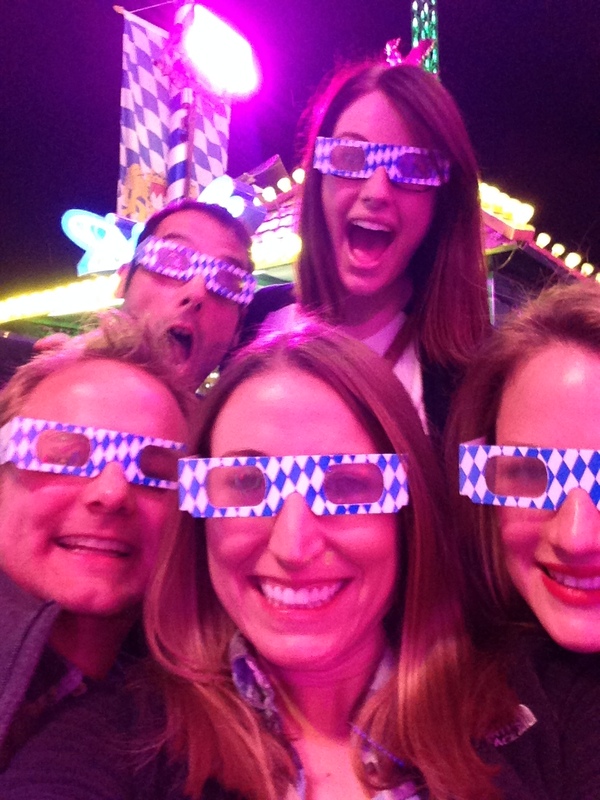 Two big beer tents are placed in the middle of a collection of carnival games, rides, and food stands…all of which are fun sober but even more fun after you drink ein Maß (aka a big beer). 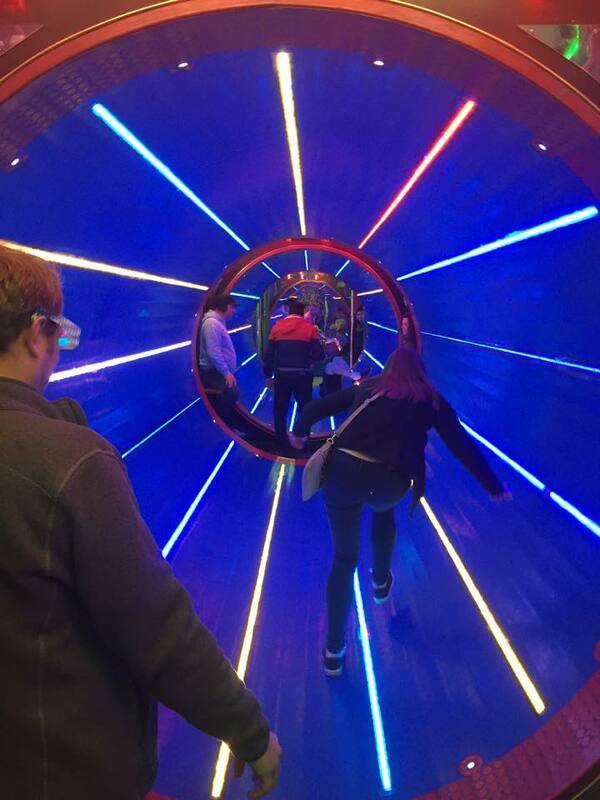 Lets just say that one may want to do the 3D fun house before entering the Hippodrome. And that’s all I’m going to say about that. 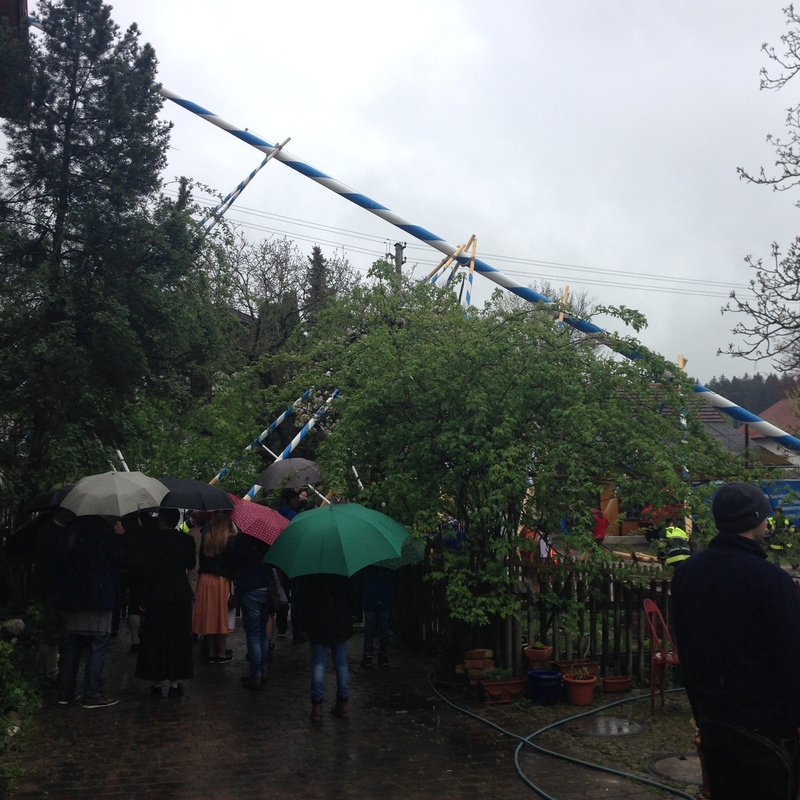 Then on May 1st, we headed out to a small town outside the city to check out their Maibaumfest – or May pole festival. The best way to describe it is a bunch of local men from the town work hard for a few hours to manually put up a pole and then everyone goes to a beer tent for food and drinks. If that isn’t a reason to seriously love this country, I don’t know what is. If you are keeping score, so far we have a festival to celebrate a season and one to celebrate a pole but how about one to celebrate a vegetable? Asparagus (spargel) is huge here in Germany. Like huge huge huge. You can really only get it for a few weeks out of the year here and then when its gone, its gone. So for a limited time, you can attend one of the several spargelfests held all over the country where you can taste this stinkypee veggie in all its glory. 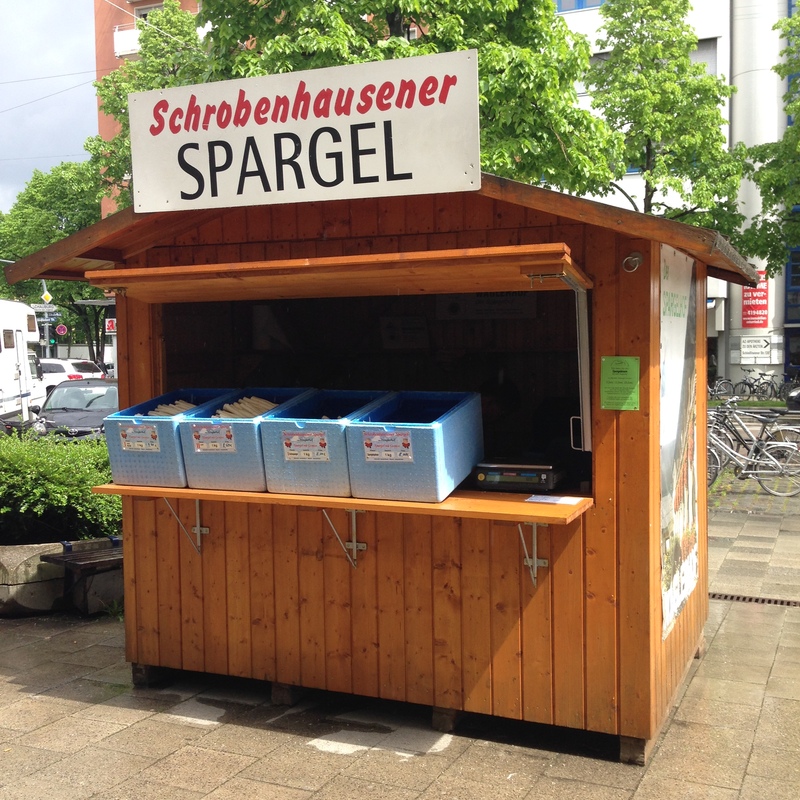 Unfortunately, I cant seem to convince Jerry that we need to go to one so here is a picture of a spargelhaus instead. Needless to say, its definitely been a fun couple of months. We are really looking forward to summer and plus we get our first visitor (Marky Mark) next week! In addition to squiring him about town, we’ll be headed to Rome for a couple of days. Cannot wait to eat all the food…all of it.